JuvaTone is a powerful herbal complex designed to promote healthy liver function. * It is an excellent source of choline, a nutrient that is vital for proper liver function and necessary for those with high protein diets. 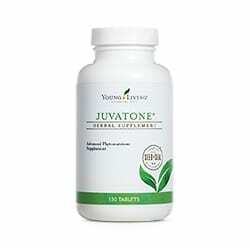 JuvaTone Tablets are a powerful herbal complex designed to promote healthy liver function. * Furthermore, an excellent source of choline which is a nutrient vital for proper liver function. Hence, necessary for those with high protein diets. Filtering and processing all food, nutrients, alcohol, drugs and other materials that enter the bloodstream and letting them pass, breaking them down or storing them. Manufacturing bile to emulsify fats for digestion. Making and breaking down many hormones, including cholesterol, testosterone, and estrogen. Regulating blood sugar levels. With the level of stress and toxins in today’s world, it has never been more important to cleanse and detoxify your liver on an ongoing basis. Take 2 tablets two times daily. Increase as needed up to 4 tablets four times daily. Best when taken between meals. Keep in a cool dry place. Keep out of reach of children. Do not expose to excessive heat or direct sunlight. If pregnant or under a doctor’s care, consult your physician. In addition, the most requested items include Lavender oil, single oils, oil blends, roll-ons, massage oils, Lavender oil-infused bath products, Thieves Oil Blend products such as foaming bath soap, toothpaste, mouthwash, laundry soap. Plus we have a variety of diffusers to liven up your home or office and much more. Lastly, we invite you to explore all of our Young Living Young Living Supplements. Start HERE.